Warren addressed lawsuits by civil servants in Florida that accused Primerica advisors of recommending they cash out state pensions to open accounts with Primerica. A well-mannered, at times jocular subcommittee hearing on the Department of Labor’s conflict of interest proposal in the Senate turned in tone when Sen. Elizabeth Warren, D-Massachusetts, took to questioning panel witnesses. One in particular, Peter Schneider, president of Primerica Inc., a Georgia-based provider of investment services distributed through a channel of 90,000 advisors, was specifically signaled out by Sen. Warren, a staunch supporter of the DOL’s rule. In the testimony he gave to the Health, Education, Labor and Pensions subcommittee, Schneider testified that the DOL’s current proposal is more “punishing” than the first one withdrawn in 2011. Schneider’s testimony was representative of the opposition to the DOL’s rule that believes the Best Interest Contract Exemption will ultimately force the advisory industry to a fee-only model of compensation. That in turn will disincentivize providers from serving the low and middle-account market, say opponents to the rule. Primerica will pay $1.2 billion in death benefits to beneficiaries this year alone, said Schneider, and the firm has helped savers put away $50 billion for retirement. Most of which is in small accounts, he said. The average household income of a Primerica account holder is between $30,000 and $100,000 a year, precisely the type of retirement investors that will be denied access to advice if the proposed rule is enacted, according to the DOL’s opponents. In her time, Warren made an opening salvo–“it is now perfectly legal for retirement advisors to give advice that boosts their own incomes by selling lousy products to clients”—before turning to Schneider. Warren brought attention to a string of lawsuits brought by civil servants in Florida that accused Primerica advisors of recommending they cash out their state pensions in order to open accounts with Primerica. “At least 238 firefighters and teachers and other career public workers near retirement age accused your company of providing bad advice that drained their retirement savings,” said Warren, citing an unnamed news source. Warren then asked Schneider point blank if he believed that was good advice. “It doesn’t have any application to the rule before the committee,” answered Schneider, before Warren interrupted him the first of several times. “Once these workers retired and moved out of their government plans Primerica agents stood to profit,” stated Warren. “My question is not how you were paid, it is whether you think it is sound investment advice to encourage public employees to move their money out of their pension and into riskier assets with no guarantees just before they retire,” she asked, in a tone reminiscent of a trial attorney’s on cross examination. “Regulators found the firm had acted properly,” countered Schneider. “I’m going to stop you right there,” said Warren. “The question about the regulators is the question about is it legal to do that, and that is exactly the problem we’ve got. It is legal to do that,” she stated. When Warren again asked about the wisdom of cashing out guaranteed pensions just before retirement, Schneider explained that in some instances, it might be sound advice. He provided the example of a gravely ill pension participant, who in Florida is prohibited from passing pension assets on to heirs. “I’m sorry. Are you suggesting these 238 people were weeks away from dying and that’s why they all got that advice,” asked an incredulous Warren. “Senator, the courts dismissed those cases,” argued Schneider. “Because it is legal activity. I think we’ve established that Mr. Schneider, that no one broke the law. 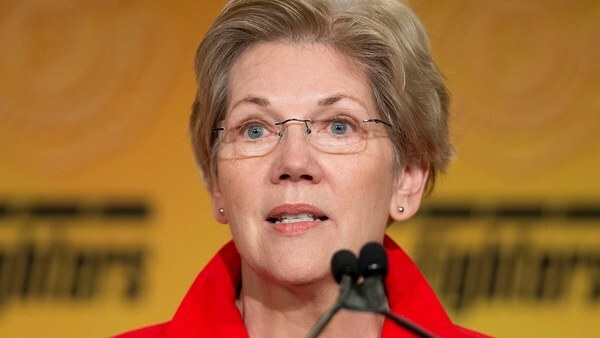 The question is whether the law should be changed,” challenged Warren.